Art World Expo Welcomes Fiona Forbes! In Vancouver, everyone knows of a woman by the name of Fiona Forbes. She has graced us with her fun loving personality on The Rush for years and has supported many local charities and causes out and about town. This year, Art World Expo is pleased to present Fiona as the 2014 host for our world class body painting competition! Competing for the 2014 Art World Expo Body Painting Champion are professional body painters from Canada and the USA. Fiona Forbes is a Canadian television personality who currently hosts the award-winning entertainment talk show The Rush in Vancouver, British Columbia. After being told by Regis Philbin that “You’ve got something kid!” she has gone on to receive accolades such as “Favourite Television Personality” and numerous other Reader’s Choice and Industry awards. She has done over fifteen thousand interviews with top names from the worlds of film, television, music, literature, sports and pop culture. Along the way Fiona has been schooled in politics from Arnold Schwarzenegger…music and hockey from Michael Buble…booty-pops from the Pussycat Dolls and learned to play the drums with GLEE’S Cory Montieth. Forbes received a degree in History from the University of British Columbia and had planned to go to Law School. Instead, on a whim she enrolled in the Journalism Program at The British Columbia Institute of Technology. Before graduating from the program, Fiona got her first job as a TV Host by accident when she auditioned as a dare and landed her first on camera gig. She is both a proud fashionista and a geek…perhaps best described by Hollywood guru Larry Moss who called her a woman with “chutzpah who reminds me of Lucille Ball”. Although she is best known for her work on the long-running URBAN RUSH, (now THE RUSH on Shaw TV), she has also hosted numerous other shows including DAYTIME on the Rogers Network, AUTOMOTIVE MORNING on Life Network and BREAKFAST TELEVISION on City-TV. 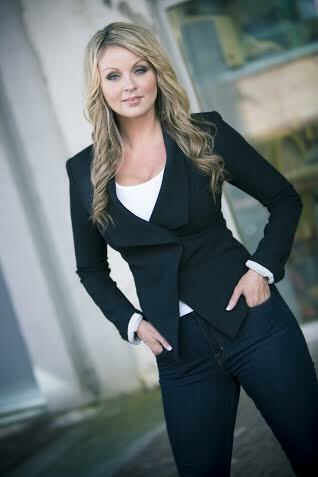 Fiona also does extensive work as a Master of Ceremonies for corporate events and is passionate about lending her talents to support many wonderful charities including the CKNW Orphan’s Fund, Pink Shirt Day,Variety Club, Timmy’s Telethon and Easter Seals.